It is ESSENTIAL that today’s small business owner have an Online / Social Media presence. Unfortunately, many small business owners do not have a clear grasp of Social Media, Web Sites, and Blogs and how they interact with each other to help you market your business. 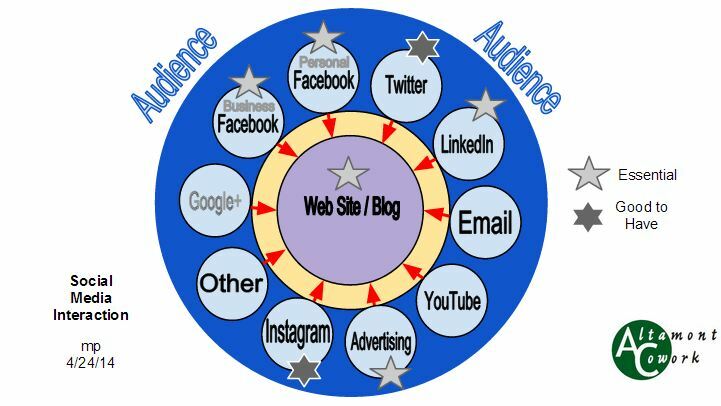 In this class, I will give an overview of many of the social media / online advertising options available and give you his opinion on how that all connects to your web site. BRING your laptop, tablet, and smartphone as you may want to start a web site or Business Facebook page at the end of class. $35.00 per hour, handouts (presentation and other material) will be given to you.